One of the most expensive mistakes any business can make is neglecting their hiring process. An inefficient and lackluster staffing methodology can waste your time and money. And yet many business leaders keep making the same mistake time and again. The bedrock of any successful business is having a topnotch team. Unfortunately, average entrepreneurs lack that vital experience when it comes to selecting the right candidate and hiring them. Most business people casually rely on their charisma and passion to drive their teams into the future, assuming it will motivate them to work hard and produce results. Charisma and passion are important elements; however, they aren’t enough to cultivate a good team that will further your vision. Among the essential factors of staffing is precision-based implementation of hiring requirements. This shouldn’t be different from how you track your business performance, sales, manufacturing volume, etc. Hiring with a crisis mentality will often lead to mismatched candidates. You cannot overemphasize the importance of experience because an experienced executive does not need training wheels; they can immediately be productive in their role and be cultivated to act as mentors, etc. However, according to business professional Tom Popomaronis, the flipside of just hiring experienced individuals is that a candidate’s experience may not necessarily be what you genuinely needed for the position he filled. One of the most common mistakes that have actually brought companies down is the need to save money in the hiring process. Sourcing candidates from online platforms and seeking resumes on different online websites can lead to overall inefficiency and mismatches. Moreover, you will have to spend more time on screening average candidates, schedule more interviews, and potentially suffer an increased turnover rate. If you’re looking for excellent candidates with proper references, always bet on national organizations for recruiting and hiring. Organizations are always on the hunt for the best of the best. Or at least they should be. However, can you really identify which candidate is better than the other? If you rely solely on the glaring credentials and level of experience on the piece of paper the candidate sent you, you might be in for a surprise. According to the founder of New Home Star, David Rice, entrepreneurs today do everything in their power to make their businesses seem as legitimate as possible. Therefore, what they end up doing is on-boarding people that have big-company credentials. It is important to understand that you need a team of people who are capable of adapting themselves to a wide range of scenarios, and not merely employees who are stuck in their own status quo. According to Martin Zwilling, a veteran mentor professor, companies tend to expedite things as much as possible and neglect to adequately validate candidate references. That is nothing short of unwise. It is vital to speak to a potential candidate’s previous references and listen well to how they phrase every word about the candidate. If you see that they’re saying something positive but lack any sort of enthusiasm, they are afraid of coming close to a lawsuit. Moreover, if you’re employing a sales professional, ask their references to provide you with their commission statements so that you can perform your own analysis and fact checking. Making the right moves when it comes to efficient staffing is central to your organization’s overall productivity. Not to mention, with the right hiring methodologies and no discrepancies in HR policies, entrepreneurs will be able to one-up their game and stay two steps ahead of their competition. If you can’t take time out for effective hiring, it may blister into something chaotic, and then you’re not doing right by your business. Making neglectful choices will not just cost you money and time, but down the line it will affect even your precious customers. 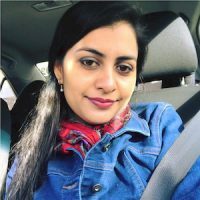 Fatima Mansoor is a writer at Aepiphanni, a Business Consultancy that provides Management Consulting, Managed, and Implementation Services to business leaders and entrepreneurs seeking to improve or expand operations. She specializes in business & entrepreneurship, digital marketing, and health & fitness. Her focus is on creating compelling web content for small and medium businesses form diverse industries. She mostly writes for entrepreneurs and marketing agencies across the US, Australia and UK. What Does Sustainable Business Growth Look Like?